In the season of Holi, various mobile network companies are providing various offers for their users. Some of the online recharge websites are also giving offers. Here we are listing various offers by different mobile companies. Aircel has introduced special roaming plan for national calling, according to offer, with the recharge of roaming pack ‘RC 83’, user will get offer talktime of 90 rupee for 28 days. The call rate will be 1 paisa/sec for home and outside circles. Vodafone also launches special offer for NCR circle. As company said, with the recharge of Rs. 455 for Data services, user will get 25% more data access. BSNL also introduces plans for their customers, on recharge of Rs. 100 to Rs. 999, user will get full talk time and recharges above Rs. 1000 will be benefiting customers by 10% extra talk value. 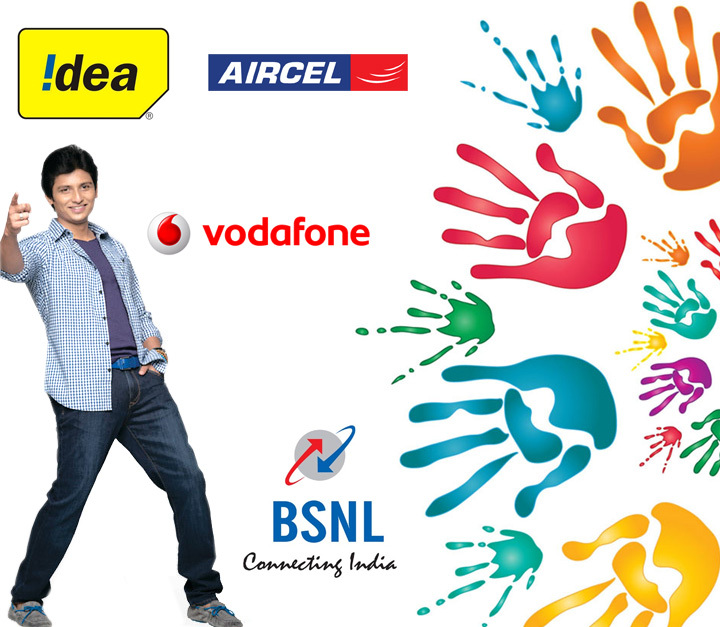 Idea gives Holi offer benefit to Bihar and Chhattisgarh circle as company offers 10% benefit to mobile recharge. Users, if recharge from RC of Rs. 222, it will provide talktime of Rs. 225, Rs. 333 will give 340; voucher of Rs. 444 will give Rs. 455; Rs 555 gives RS 570 benefit and Rs. 1000 provides talktime of Rs. 1100. Some of the online recharge websites are also providing offers in this Holi season as companies are giving 10% recharge benefit on every recharge above RS 100.